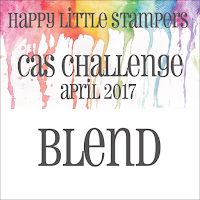 This time the theme for the CAS Challenge at Happy Little Stampers is the cue word BLEND! In fact blending colour is one of the things I love to do and there are so many ways of doing it. Here I used some Platinum Inka Gold, mixed with shades of blue Brusho powders, spritzed with water and smooshed around a little before taking a number of prints. I thought this made a great winter sky. 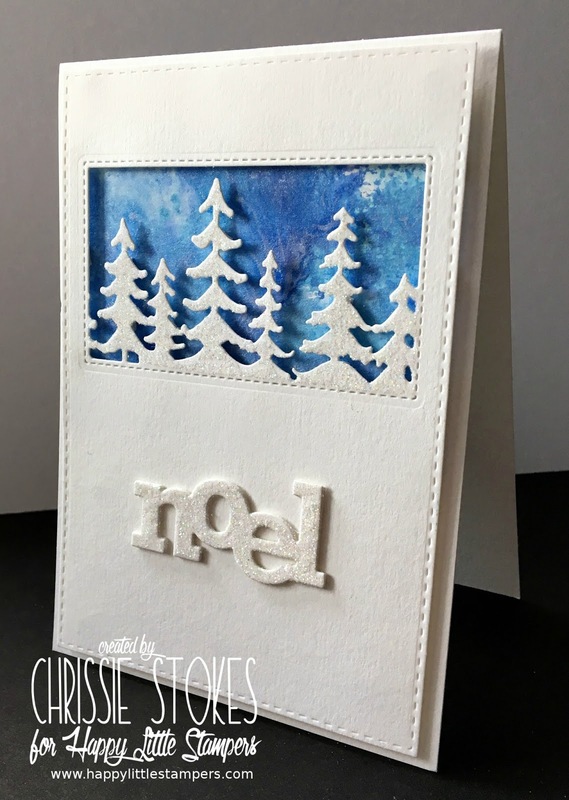 The tree die is from Memory Box and the sentiment from Sizzix, both of which have been twinkled with a little Glamour Dust. The 'Noel' has been stacked to give a little added dimension. Wonderful use of dies and you smooshed, blended bg is perfect as a sky, great idea! Love the bold sentiment. So beautiful...love your sweet scene!